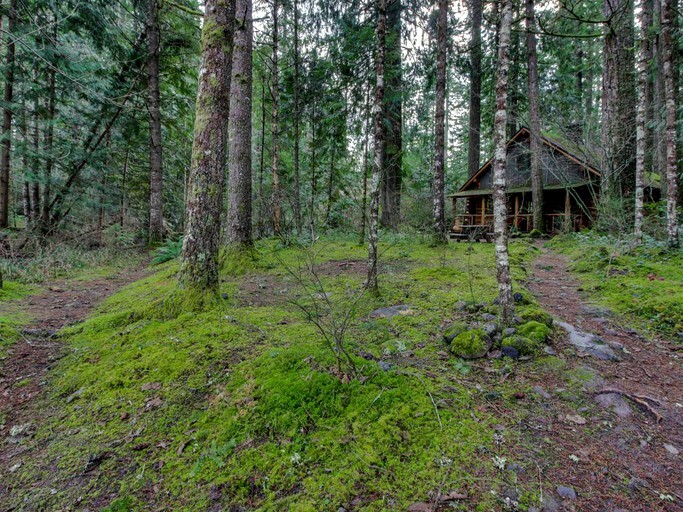 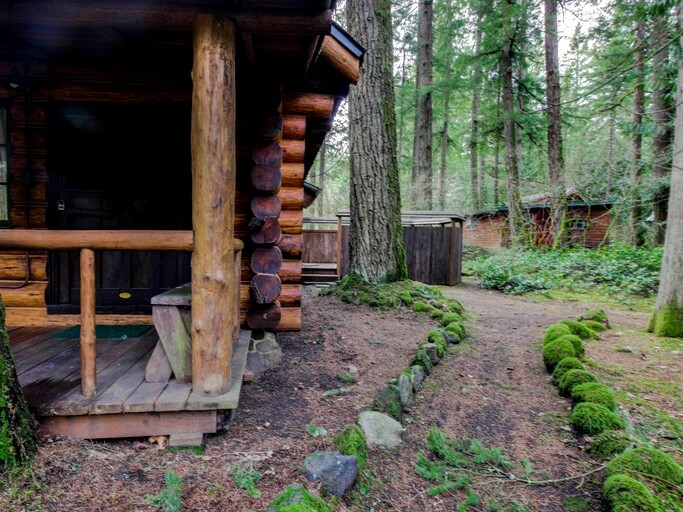 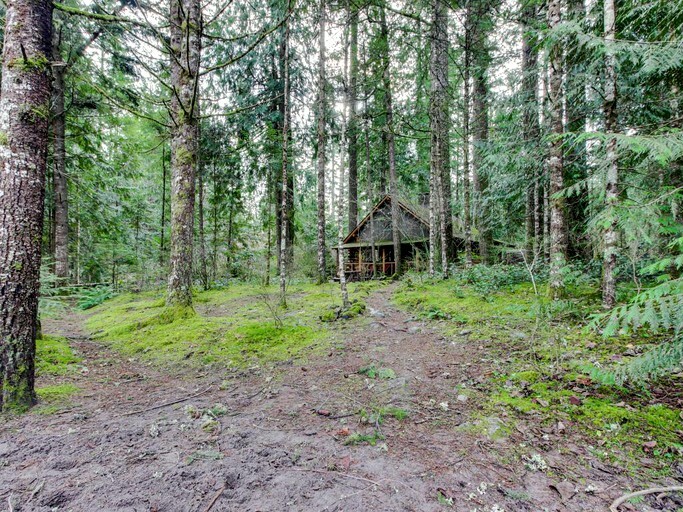 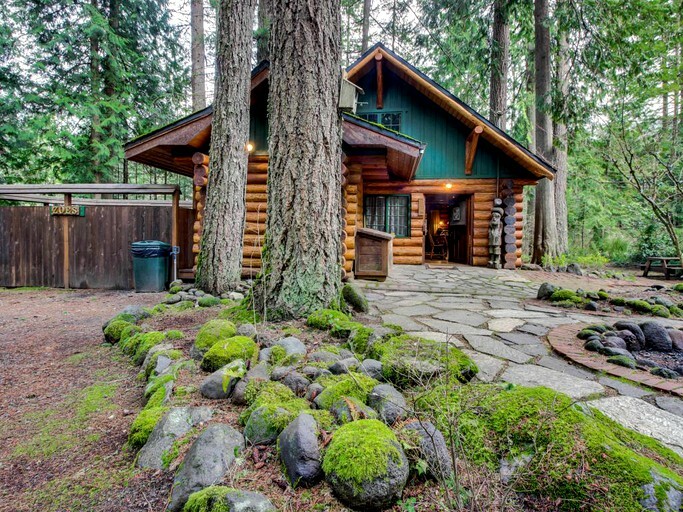 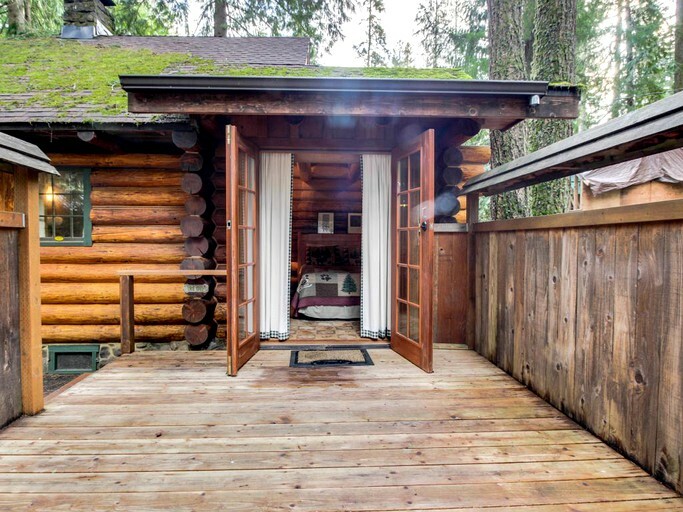 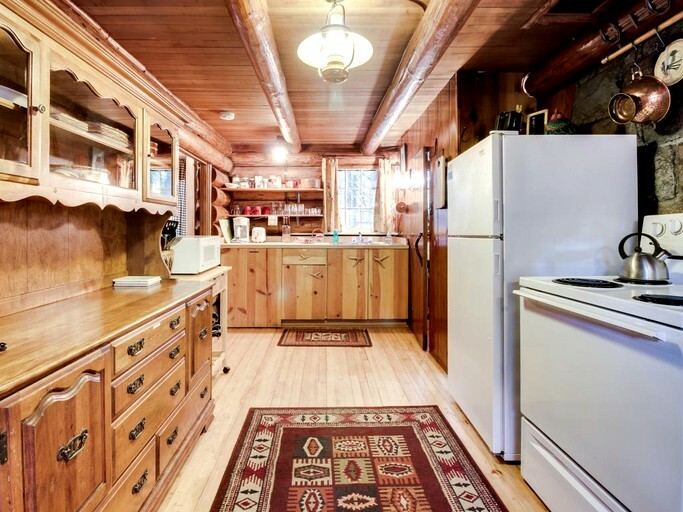 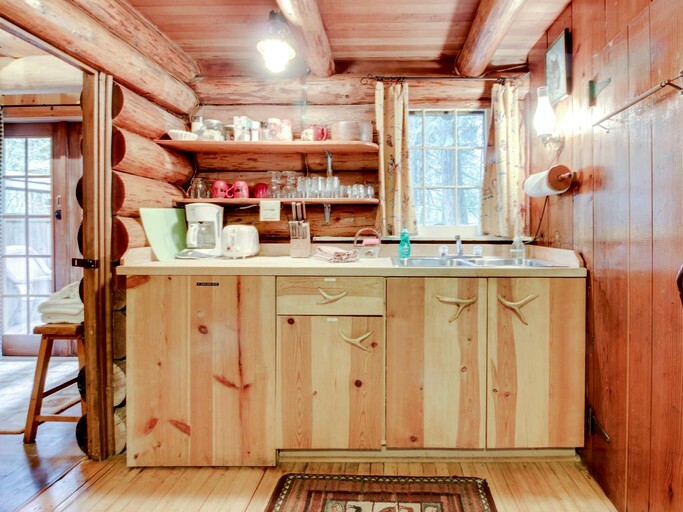 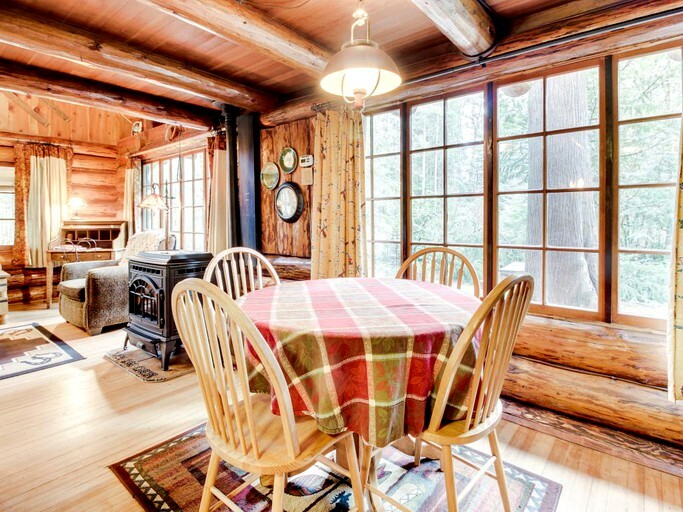 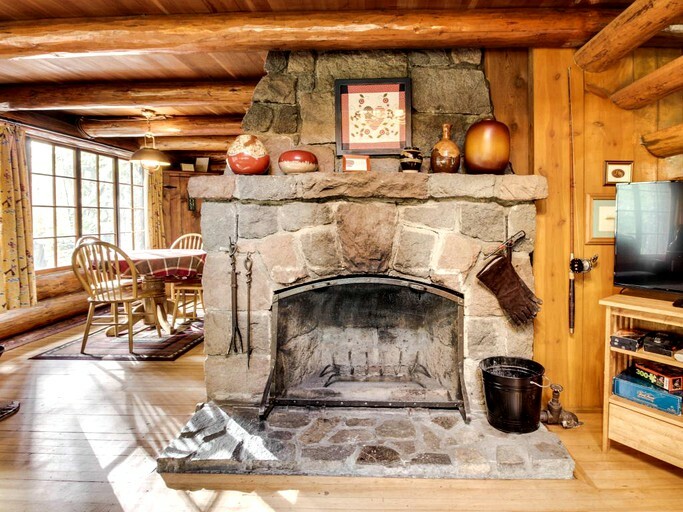 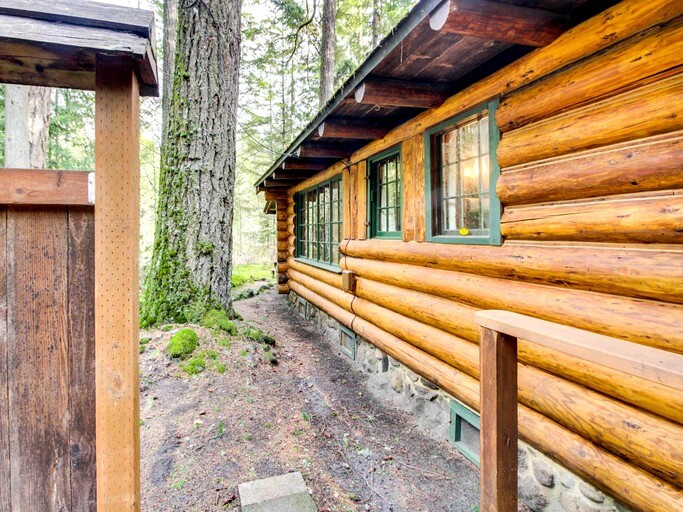 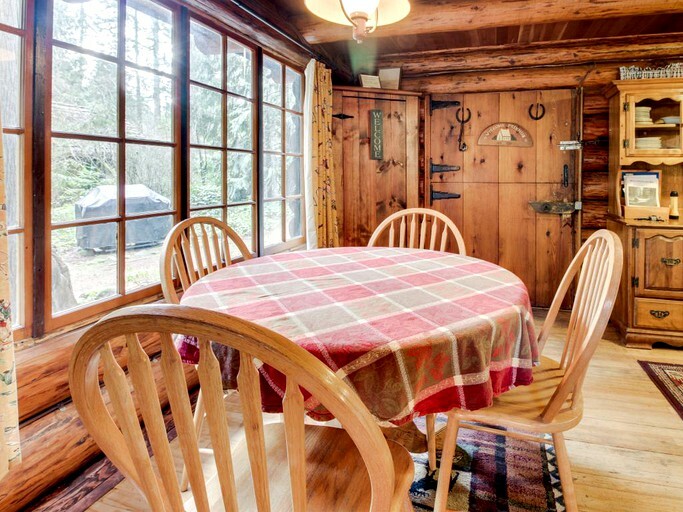 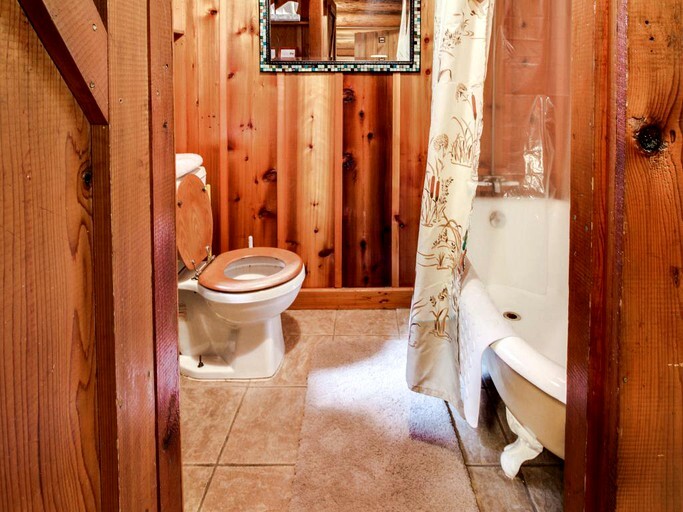 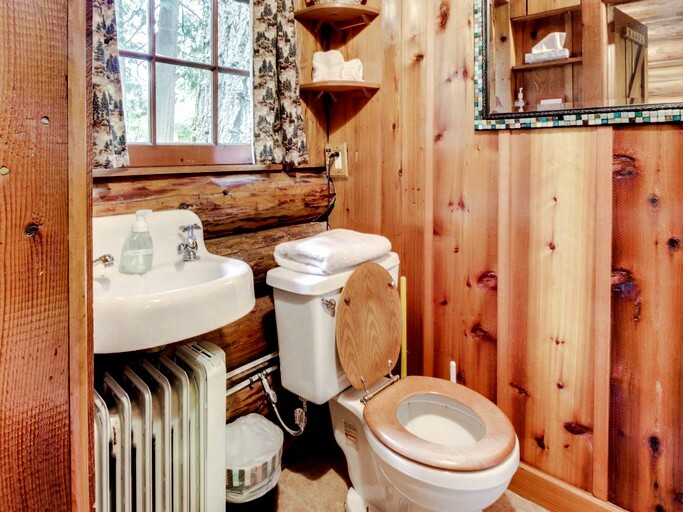 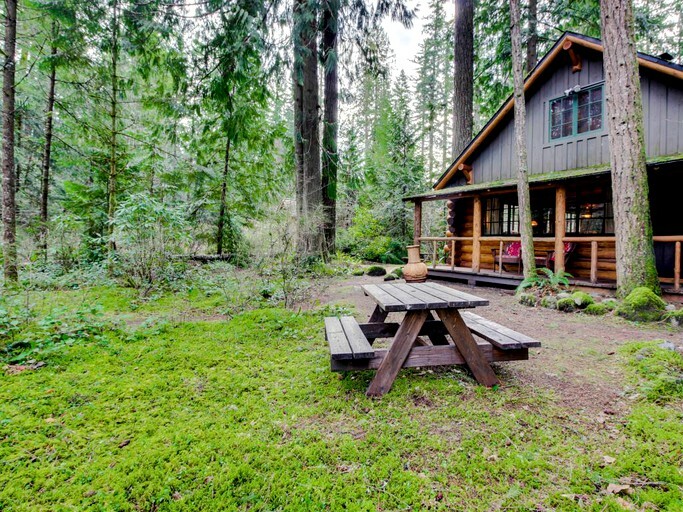 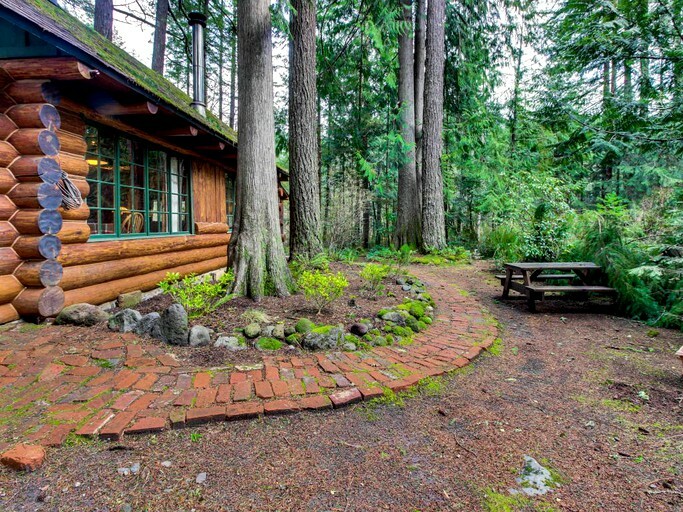 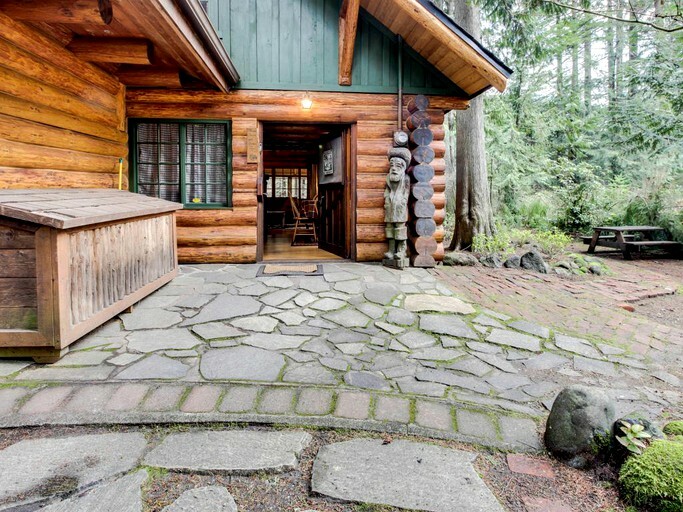 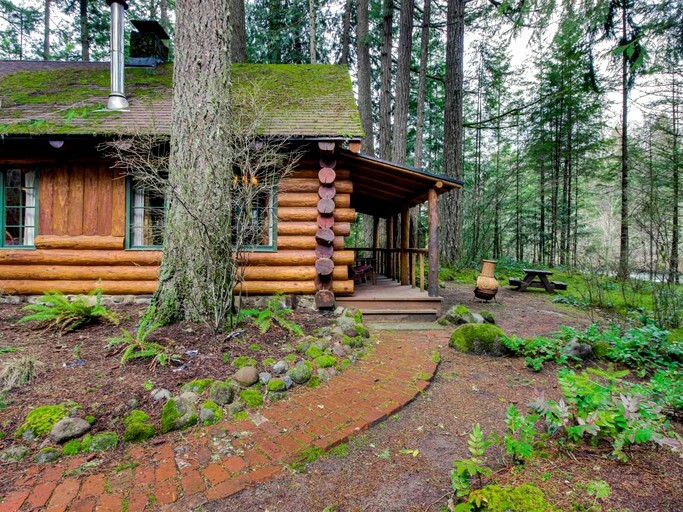 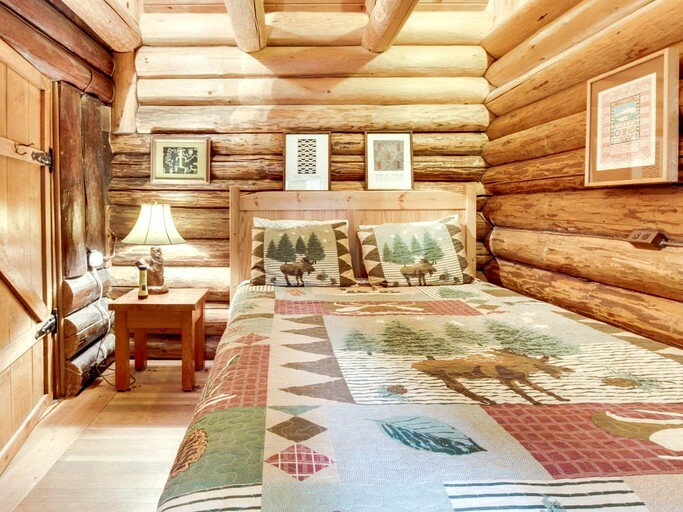 This secluded log cabin is located on the Sandy River near Brightwood, Oregon, and was built by the celebrated carpenter Henry Steiner in 1939—it's even listed in the Historical Homes Registry. 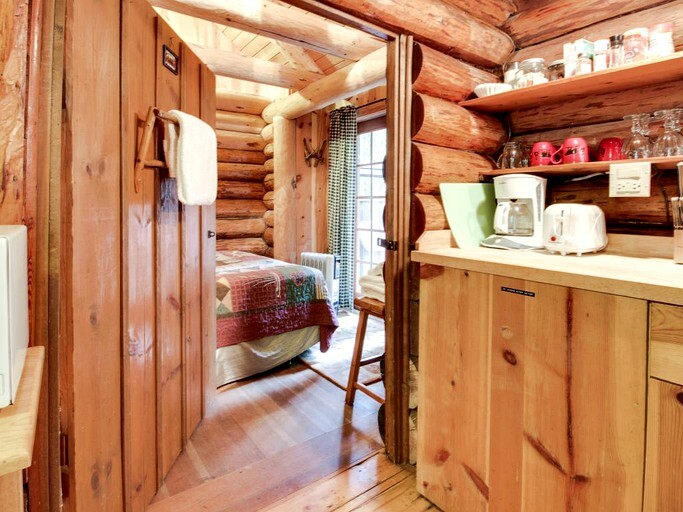 Up to four guests can stay in this bespoke cabin. 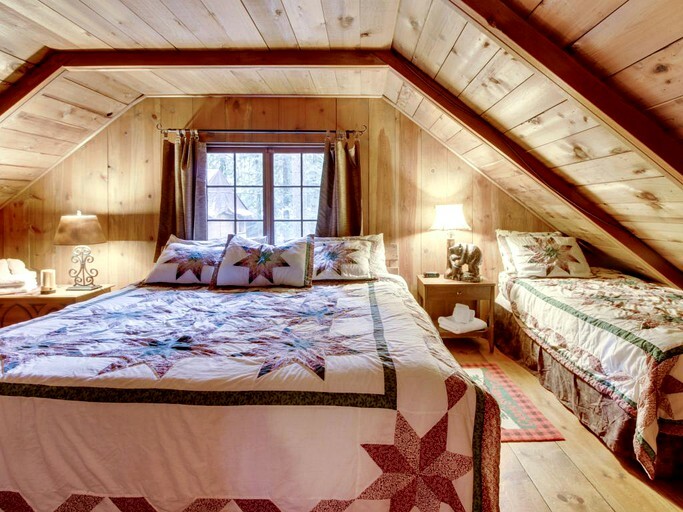 The bedroom has a charming wooden door with black hinges and a queen-size bed. 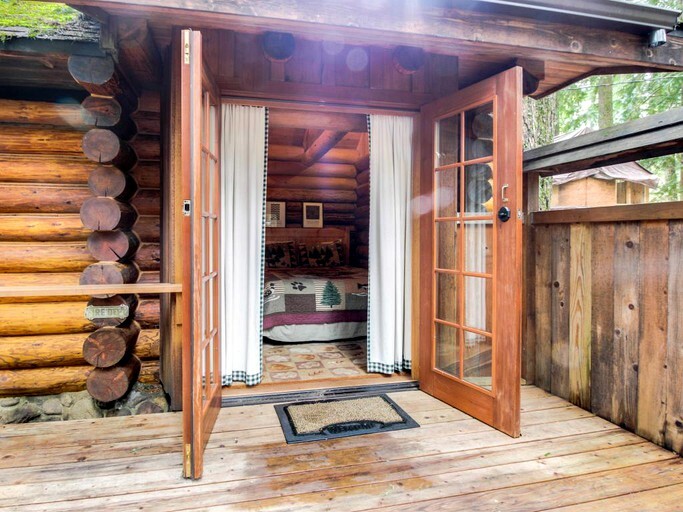 The glazed doors fill the room with light and open out onto one of the decks. 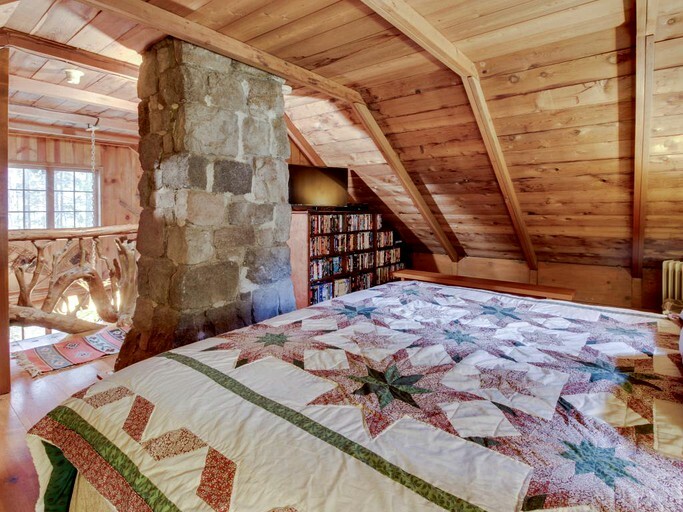 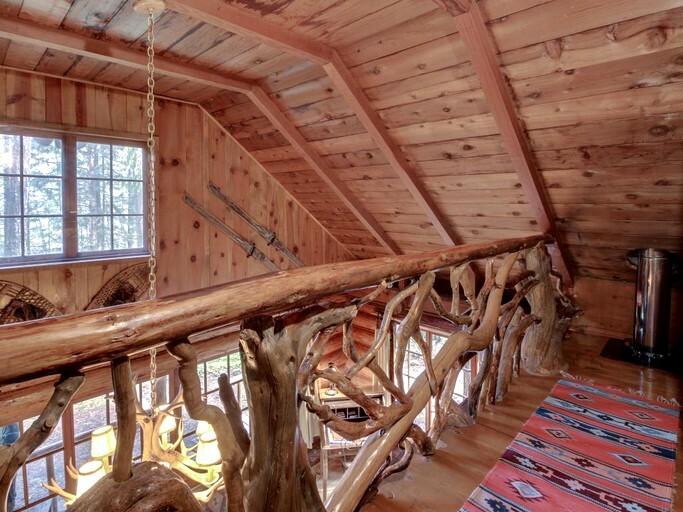 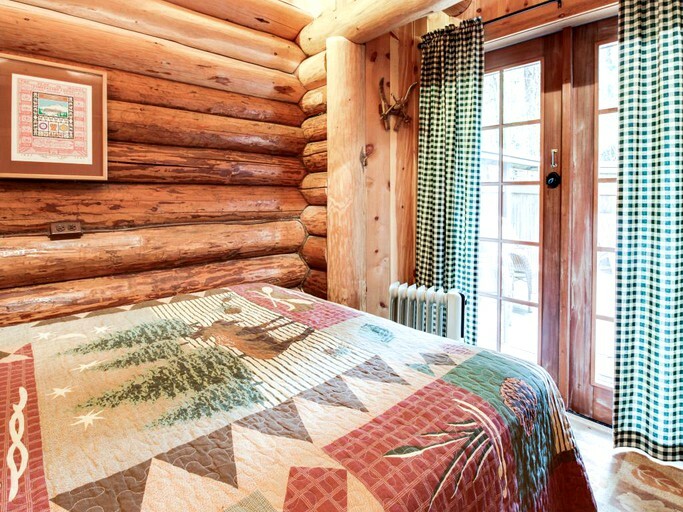 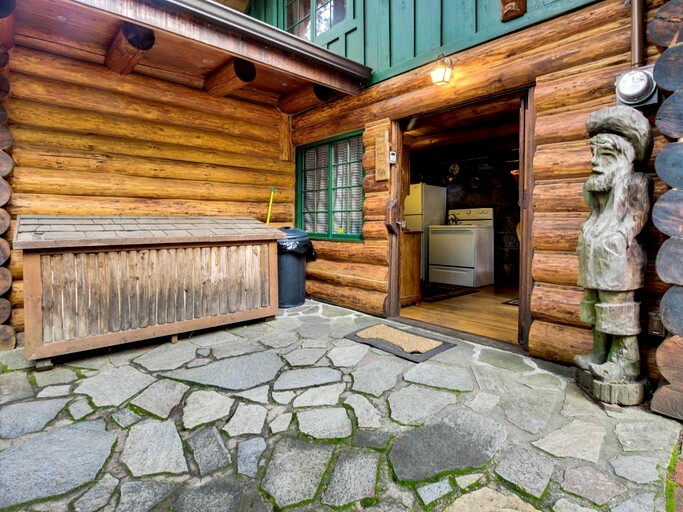 Up the hand carved stairs is the delightful loft with a king-size bed and a twin bed. 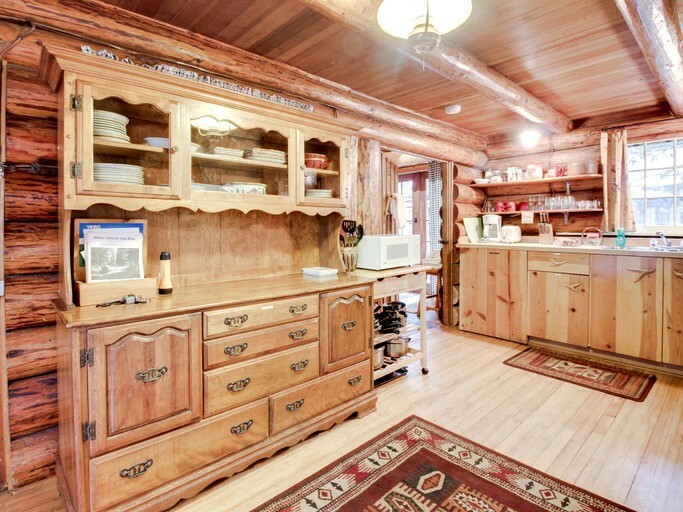 There is also a TV and a VCR with a selection of wonderful movies. 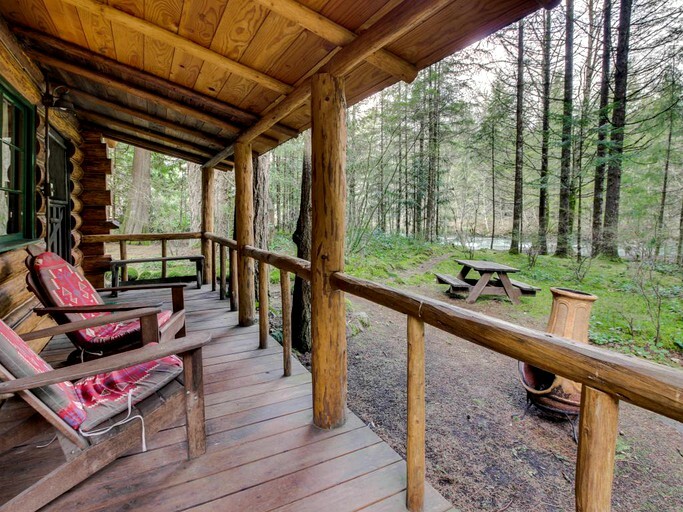 Glampers can unwind here with all the comforts of home. 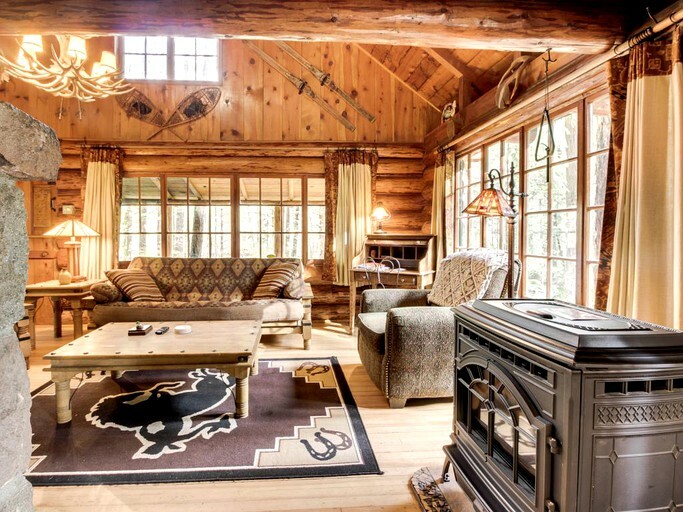 The cozy living room is a great place to get unwind with a wood-burning fireplace, a pellet stove, a cable TV, and a VCR with a video library. 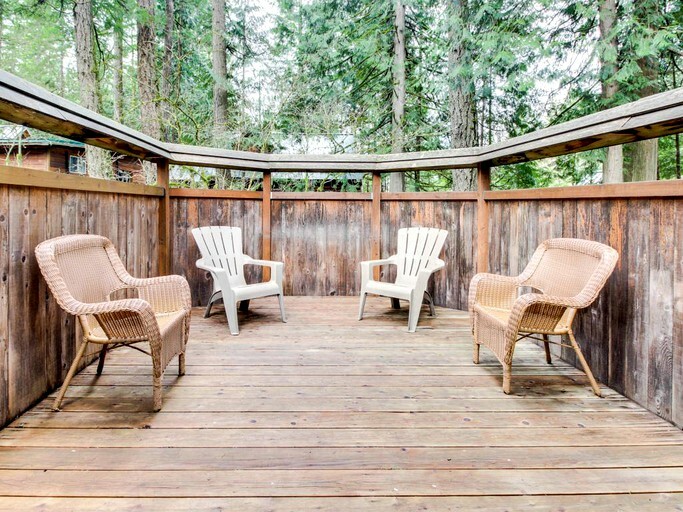 Outside, there are two decks, as well as a gas grill and a fire pit. 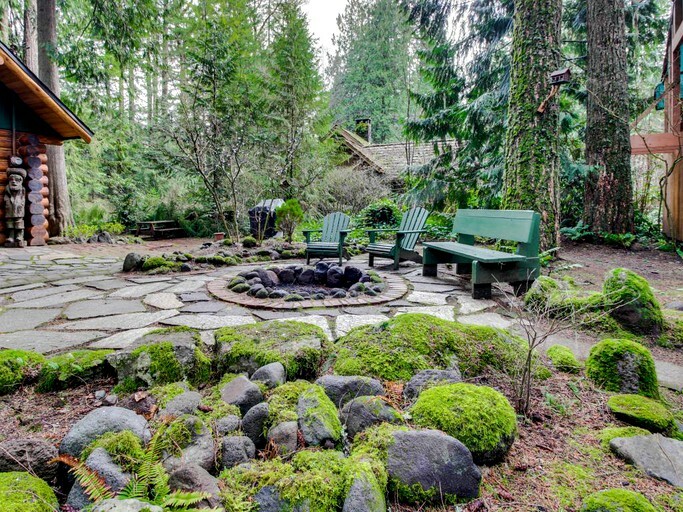 Glampers who love the outdoors will be spoiled for choice here. 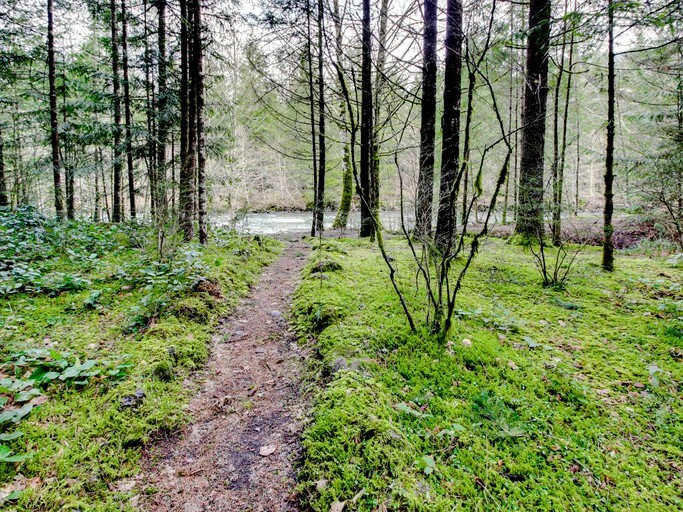 Guests can walk to the incredible Wildwood National Forest to try its "Streamwatch" trail. 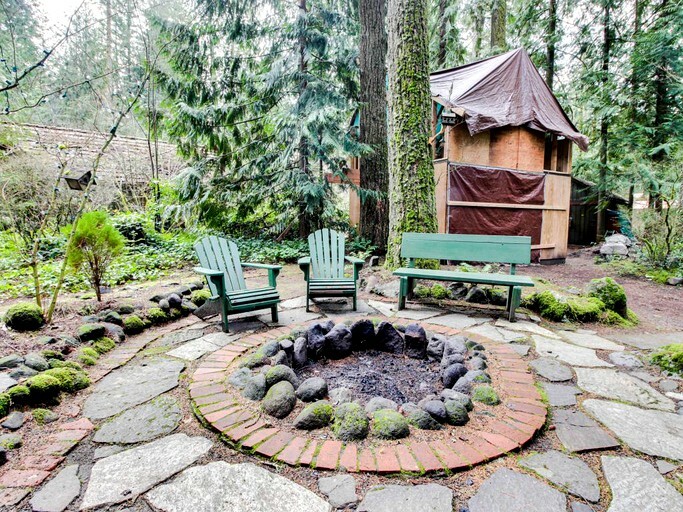 For more trails, glampers will be sure to try out one of the 31 trails around Mount Hood. 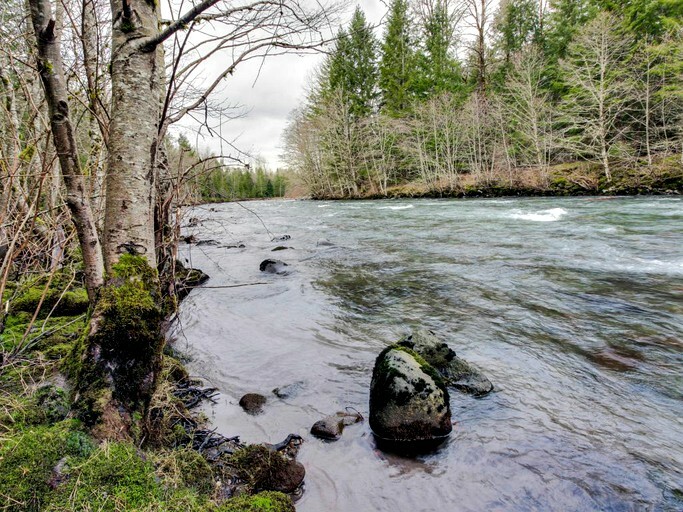 Adventure awaits on the nearby Sandy River, where glampers can try fishing, tubing, kayaking, and many other things. 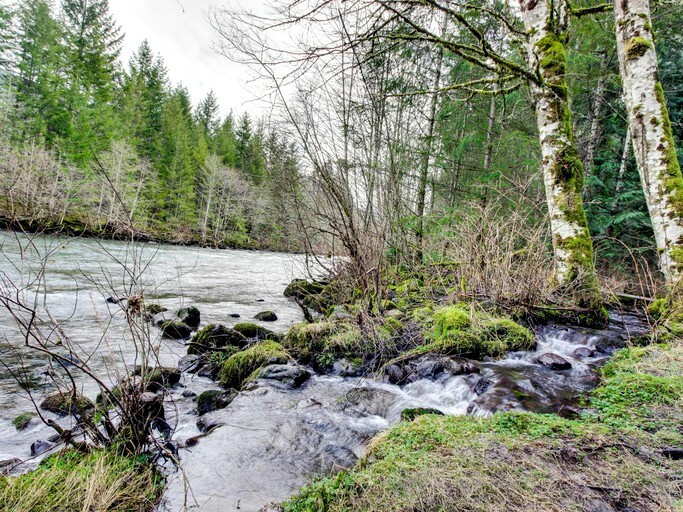 Welches is perfect for golfers to practice their swing. 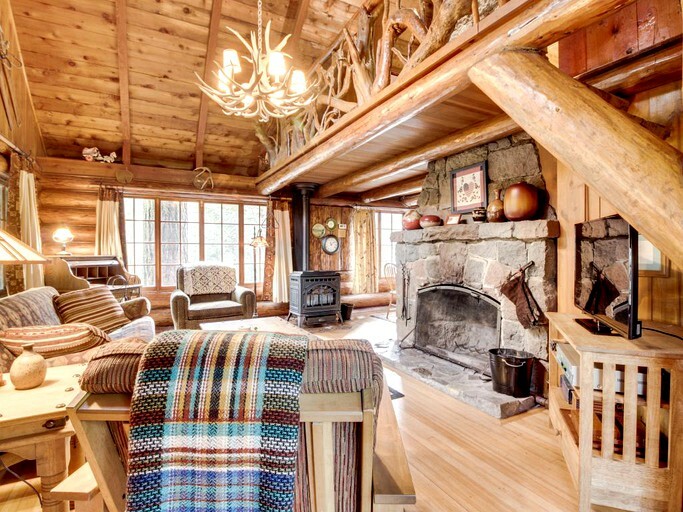 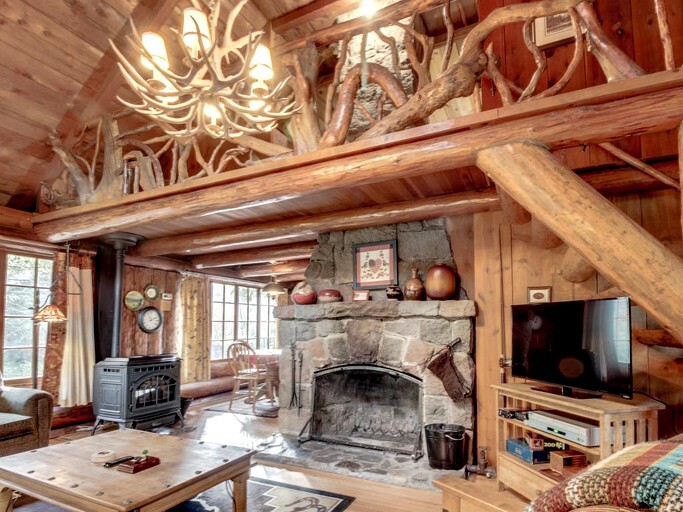 In winter, the cabin is a great gateway for ski resorts. 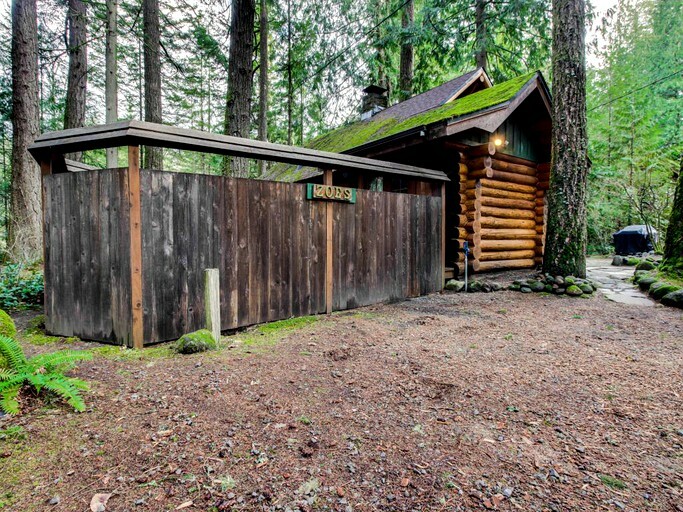 Skibowl and Summit are about 15 minutes away. 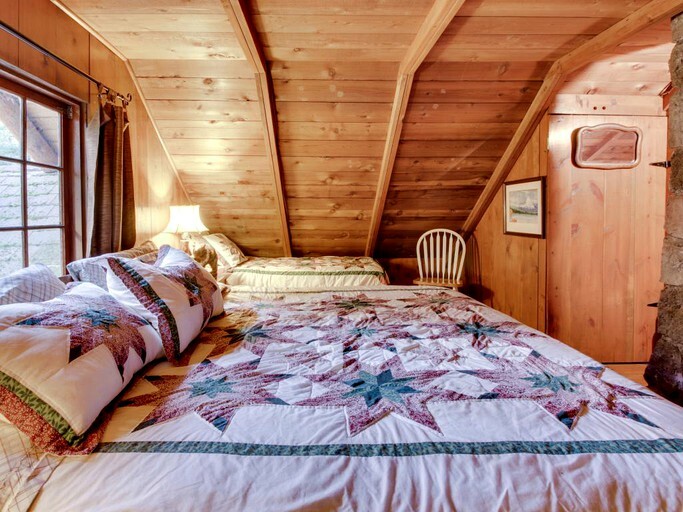 Skibowl is great for night skiing, while Summit is known for inner tubing and Nordic trails. 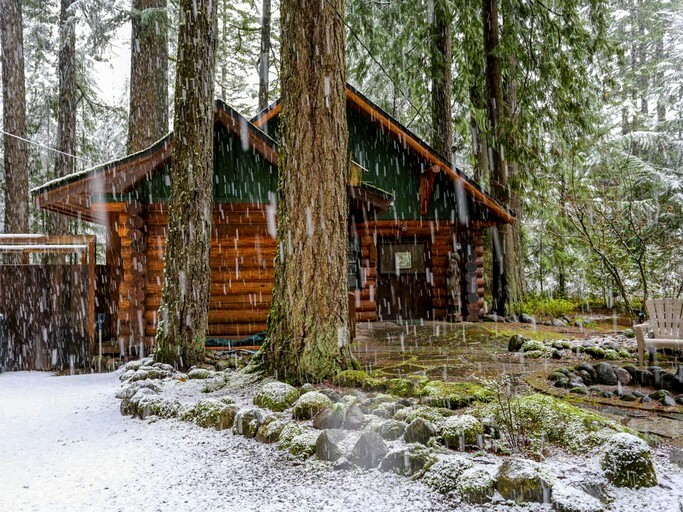 Mount Hood Meadows is a 45-minute drive away for Alpine and Nordic trails. 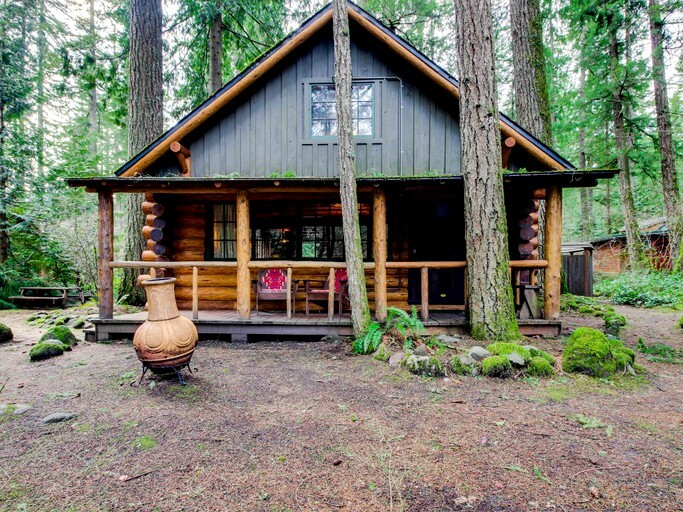 Portland is just an hour away for a day trip visiting unique boutiques, and breweries.